In 3D computer graphics, 3D modeling (also known as meshing) is the process of developing a mathematical representation of any three-dimensional surface of object (either inanimate or living) via specialized software. The product is called a 3D model. It can be displayed as a two-dimensional image through a process called 3D rendering or used in a computer simulation of physical phenomena. The model can also be physically created using 3D Printing devices. Examples of some 3D modeling. 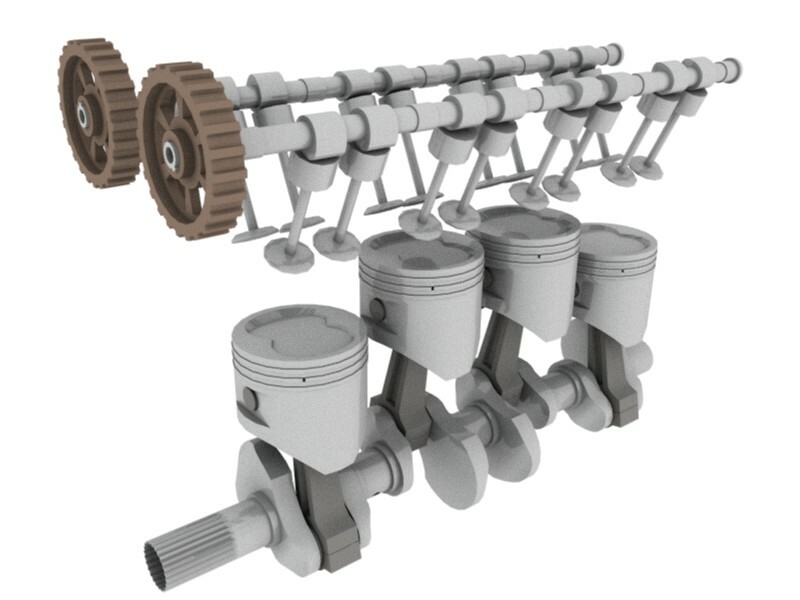 Today, 3D models are used in a wide variety of fields. The medical industry uses detailed models of organs. The movie industry uses them as characters and objects for animated and real-life motion pictures. The video game industry uses them as assets for computer and video games. The science sector uses them as highly detailed models of chemical compounds. The architecture industry uses them to demonstrate proposed buildings and landscapes through Software Architectural Models. The engineering community uses them as designs of new devices, vehicles and structures as well as a host of other uses. In recent decades the earth science community has started to construct 3D geological models as a standard practice. Because the appearance of an object depends largely on the exterior of the object, boundary representations are common in computer graphics. Two dimensional surfaces are a good analogy for the objects used in graphics, though quite often these objects are non-manifold. Since surfaces are not finite, a discrete digital approximation is required: polygonal meshes (and to a lesser extent subdivision surfaces) are by far the most common representation, although point-based representations have been gaining some popularity in recent years. Level sets are a useful representation for deforming surfaces which undergo many topological changes such as fluids. The process of transforming representations of objects, such as the middle point coordinate of a sphere and a point on its circumference into a polygon representation of a sphere, is called tessellation. This step is used in polygon-based rendering, where objects are broken down from abstract representations ("primitives") such as spheres, cones etc., to so-called meshes, which are nets of interconnected triangles. Meshes of triangles (instead of e.g. squares) are popular as they have proven to be easy to render using scanline rendering. Polygon representations are not used in all rendering techniques, and in these cases the tessellation step is not included in the transition from abstract representation to rendered scene. Polygonal modeling - Points in 3D space, called vertices, are connected by line segments to form a polygonal mesh. Used, for example, by Blender. The vast majority of 3D models today are built as textured polygonal models, because they are flexible and because computers can render them so quickly. However, polygons are planar and can only approximate curved surfaces using many polygons. NURBS modeling - NURBS Surfaces are defined by spline curves, which are influenced by weighted control points. The curve follows (but does not necessarily interpolate) the points. Increasing the weight for a point will pull the curve closer to that point. NURBS are truly smooth surfaces, not approximations using small flat surfaces, and so are particularly suitable for organic modeling. Maya, Rhino 3d and solidThinking are the most well-known commercial software that uses NURBS natively. Splines & Patches modeling - Like NURBS, Splines and Patches depend on curved lines to define the visible surface. Patches fall somewhere between NURBS and polygons in terms of flexibility and ease of use. Primitives modeling - This procedure takes geometric primitives like balls, cylinders, cones or cubes as building blocks for more complex models. Benefits are quick and easy construction and that the forms are mathematically defined and thus absolutely precise, also the definition language can be much simpler. Primitives modeling is well suited for technical applications and less for organic shapes. Some 3D software can directly render from primitives (like POV-Ray), others use primitives only for modeling and convert them to meshes for further operations and rendering. Sculpt modeling - Still fairly new method of modeling 3D sculpting has become very popular in the few short years it has been around. There are 2 types of this currently, Displacement which is the most widely used among applications at this moment, and volumetric. Displacement uses a dense model (often generated by Subdivision surfaces of a polygon control mesh) and stores new locations for the vertex positions through use of a 32bit image map that stores the adjusted locations. Volumetric which is based loosely on Voxels has similar capabilities as displacement but does not suffer from polygon stretching when there are not enough polygons in a region to achieve a deformation. Both of these methods allow for very artistic exploration as the model will have a new topology created over it once the models form and possibly details have been sculpted. The new mesh will usually have the original high resolution mesh information transferred into displacement data or normal map data if for a game engine. Modeling can be performed by means of a dedicated program (e.g., form•Z, Maya, 3DS Max, Blender, Lightwave, Modo, solidThinking) or an application component (Shaper, Lofter in 3DS Max) or some scene description language (as in POV-Ray). In some cases, there is no strict distinction between these phases; in such cases modeling is just part of the scene creation process (this is the case, for example, with Caligari trueSpace and Realsoft 3D). Complex materials such as blowing sand, clouds, and liquid sprays are modeled with particle systems, and are a mass of 3D coordinates which have either points, polygons, texture splats, or sprites assign to them. A large market for 3D models (as well as 3D-related content, such as textures, scripts, etc.) still exists - either for individual models or large collections. Online marketplaces for 3D content allow individual artists to sell content that they have created. Often, the artists' goal is to get additional value out of assets they have previously created for projects. By doing so, artists can earn more money out of their old content, and companies can save money by buying pre-made models instead of paying an employee to create one from scratch. These marketplaces typically split the sale between themselves and the artist that created the asset, often in a roughly 50-50 split. In most cases, the artist retains ownership of the 3d model; the customer only buys the right to use and present the model.